Implementing connections between your WordPress website and social media channels is vitally important to the success of your website. Feeding your website with data from your social media channels brings with it a variety of great benefits. Fortunately for the 60+ million WordPress website owners worldwide, connecting to your social media channels can be accomplished with ease. In this article you'll learn more about implementing social media feeds into your WordPress site. Combining the content of your social media channels with your WordPress website content in a clever and thoughtful way can help you increase your social performance in an efficient manner. Using 3rd party plugins, you're able to quickly setup and configure connections to any of the major social media outlets for use within any WordPress installation, no matter what WordPress theme you're using. You'll be able to pull data from social channels, displaying it on your site in no time. 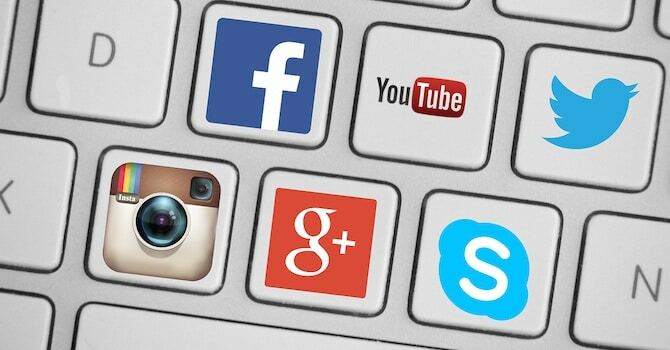 In the following we've listed some awesome plugins to add social media feeds to WordPress. Feeder Ninja is an easy-to-use WordPress plugin that enables you to add feeds from your social media channels via a widget. A varied range of social media outlets are supported by this plugin, including Facebook, Twitter, Tumblr, Pinterest, Vimeo and YouTube. You can also use the widget to pull data from any RSS feed. Three Premium versions are available with prices starting from $40 per annum that offer an ad-free experience and raised limits on how many feeds you can create. The POWr Social Feed plugin allows you to create visually impressive and responsive post feeds from a variety of social media outlets. Administered entirely by a cloud-based interface, you can create a variety of social feeds that you can implement into your site with ease. The plugin offers a beginner-friendly setup process, and can allow feeds from all of the major social media outlets. A Premium version is also available with raised feed limits, additional feed options, better support and removal of all watermarks. Prices for the Premium version start at $3.99 per month. With over 40,000 active installations, Feed Them Social is a trusted plugin that provides an easy method of adding feeds from your social media channels into your WordPress site. This plugin supports a wide-range of social media outlets out-of-the-box, with more being available to Premium users. They have a variety of demonstrations available that show off the plugins' extensive feature list. Prices for the Premium variation start from $40 on a per-site, per-annum basis. Create attractive responsive grids containing a mixture of your social media posts. The Flow-Flow Social Stream plugin makes it easy for you to create visually appealing social media feeds that you can add to any WordPress website. The plugin comes bundled with CSS3 transition effects, smart caching of images, fast-loading AJAX refreshes, and is fully cross-browser compliant. The Pro version, charged at a flat-rate of $27, removes feed & layout limitations as well as providing you with a premium support service in case you need additional assistance. Juicer is a fantastic resource that allows you to quickly create beautiful grid-based social media feeds from a variety of sources. Perfectly integrated with all of the major social media services including YouTube, Facebook, Instagram, Twitter, plus many more. There are 2 Premium plans available, with varying update timers and feed limitations, with prices starting from $19 monthly. WordPress users simply are being spoiled for choice for when it comes to seeking the perfect solution to integrate social media feeds into WordPress. When selecting a plugin for social media feeds, ensure you choose a quality plugin that is being used often and rated well by its users. Usually all of the major social media channels are fully supported with selected support for various others such as Vimeo, Slack, Vine, and even DeviantArt. A growing trend is to display social media feeds in a grid-like layout that responds to whichever device it is being viewed on. This allows you to create beautiful-looking social media feeds that everyone can enjoy.